Save $25 On 3 Items & Get Free Shipping. Cub Coats clothing and accessories are designed with children in mind, combining cute stuffed animals with functional jackets and coats all in one little package. Partnering up with companies like Disney, Marvel, and Nickelodeon to bring kids favorite characters to life, each of these coats starts off as a folded up stuffed animal and becomes a zip up hoodie that is warm and cozy. 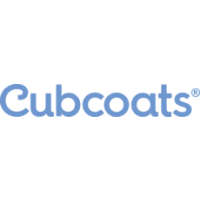 Parents will get 15% off on using the email newsletter coupon code that comes with each free account, and shipping on all of these purchases from Cub Coats are available free of charge. Order three coats from this company and get an extra 10% off each of them.